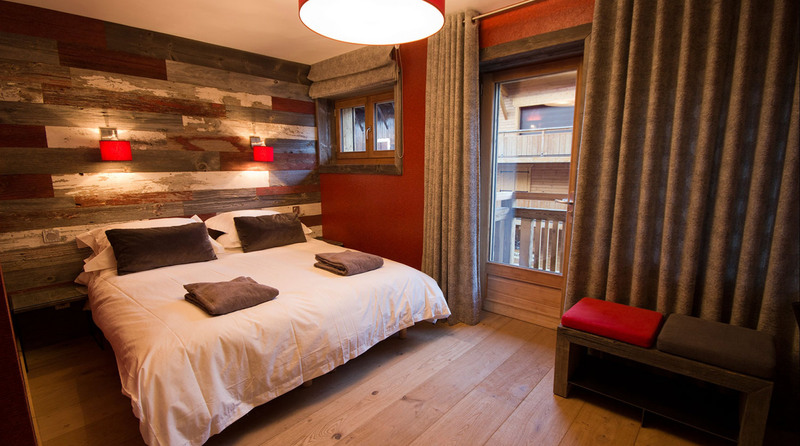 Sleeping up to 12 people in five large and spacious ensuite bedrooms, two of which can be configured as large triple family rooms, The ARK offers a new level in luxury and contemporary design in Morzine centre. 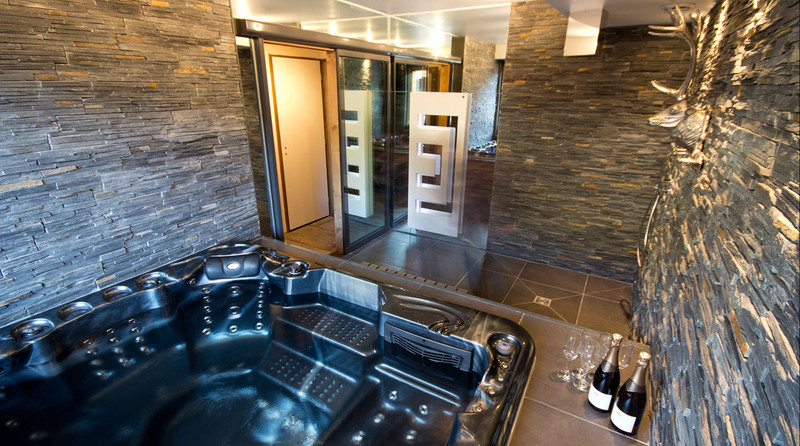 It features a hot tub Spa area, two lounge areas, separate dining room with fireplace and Bose Surround SONOS Sound System, rooftop Lounge with another fireplace, flatscreen TV and 360 Degree views of the mountains, separate glass floor mezzanine with iPad, XBOX 360 KINECT and bar / chill out space. We take pride in providing a fully catered chalet offering stunning quality using fresh ingredients all prepared from scratch. We don't try to be 'Fine Dinning' however, our food is well-balanced and stylishly presented, guaranteed to satisfy the hungriest after a hard day on the slopes. Evening meals comprise of three courses, followed by chocolates, coffees & a cheeseboard (If you can squeeze it in!) All our meals are served with an exquisite choice of handpicked bottled French Wine. If wine isn't your thing, we are more than happy to offer you beers instead. Our cosy & comfortable dinning area offer the ideal setting for the post skiing debrief , allowing you to chat about the days events in a relaxing environment. Dinner is served with good quality wine or beer throughout the meal, however, once its finished, you can help yourself to the honesty bar if you still fancy a wee tipple. Our home made toffee vodka tends to go down a treat at this point! You will be welcomed on arrival with a variety of canapes & nibbles in front of the fire, accompanied by a glass of Kir Royale to fully immerse you into the mountain spirit! You can also help yourself to a beer, some wine or a soft drink from our honesty bar which is restocked daily. Please note: On staff day off, which is normally Wednesday, we will be more than happy to recommend and pre-book a great local restaurant on your behalf. Why bother with anything else – there is no better way to start your day than with a cooked breakfast of bacon & eggs. Cooked breakfast is usually served at an agreed time, however, we also have a selection of cereals, home made muesli, sliced ham & cheese, fresh fruit, yoghurts, fresh crusty french bread with jams and soft cheese and unlimited coffee and tea. Plus of course… the snow report! After a hard day’s riding, head back to the chalet for some freshly-baked cake, cookies or a savoury platter – you can decide what you want in the morning. 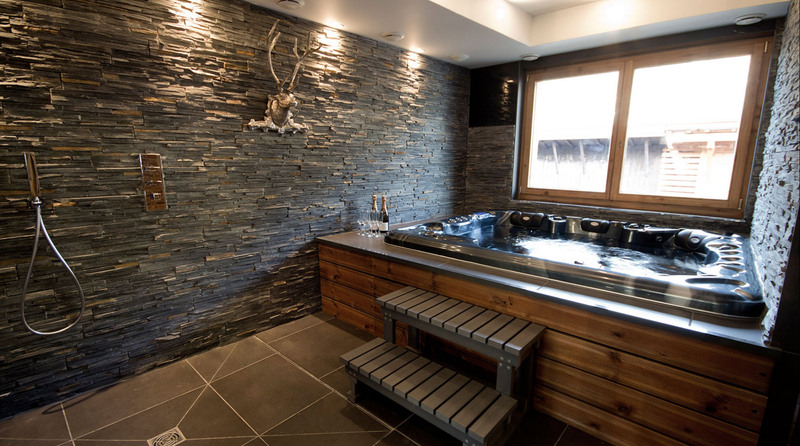 The chalet provides quick & easy access to the slopes, with both Super Morzine and Pleney lifts being less than a 5 minute walk away. The free ski shuttle bus also stops opposite the chalet providing quick access to Prodains and Ardent. 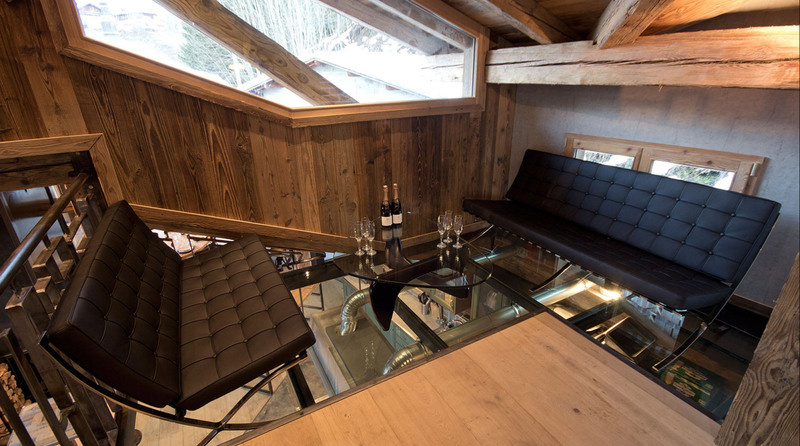 A great chalet for anyone wanting to be central and ideal for groups of young professionals and friends who want to party. 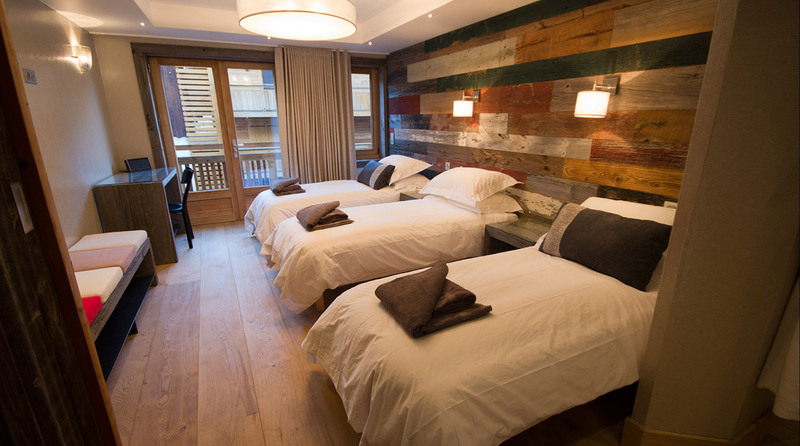 The ARK is located in the centre of Morzine in a prime position on Rue Du Bourg near to the Roxy Shop and Intersport. 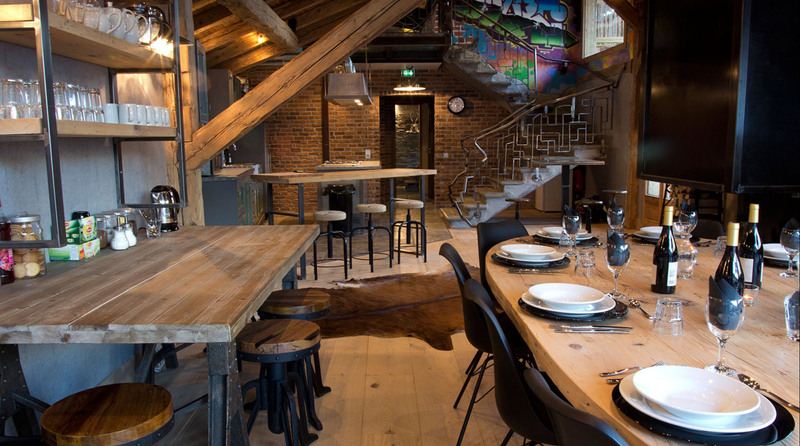 The chalet’s location is fabulous for all the shops, apres bars and restaurants like Dixie Bar and Chez Roger. Staggering back after a few beers is made easier as the chalet is far enough away from the hustle & bustle of the nusy nightlife, yet close enough to make you feel like the town is on your doorstep.Location is key when staying at the Ark! With the Super Morzine & Plenny lifts both within a 5 minute walk of the front door, access is swift & easy. Also on offer is a free ski shuttle from the bus stop located opposite, providing fast access to both the Prodians and Ardent Telecabins. 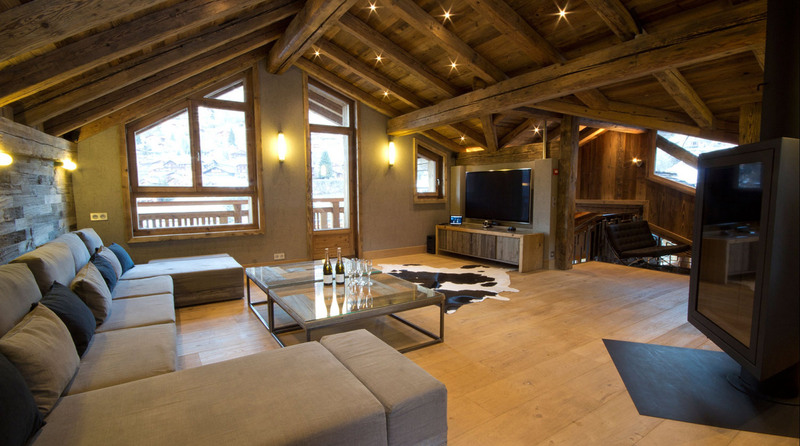 Central enough to be able to make the most of both the slopes & the town centre, this chalet is ideal for people that enjoy having entertainment at there doorstep.